“You cannot expect to have no problems,” said Didier Evrard, Airbus EVP for programs, who run the A350 program until the end of 2014. Evrard believes the goal of 98.5% dispatch reliability can be reached within 1-2 years. 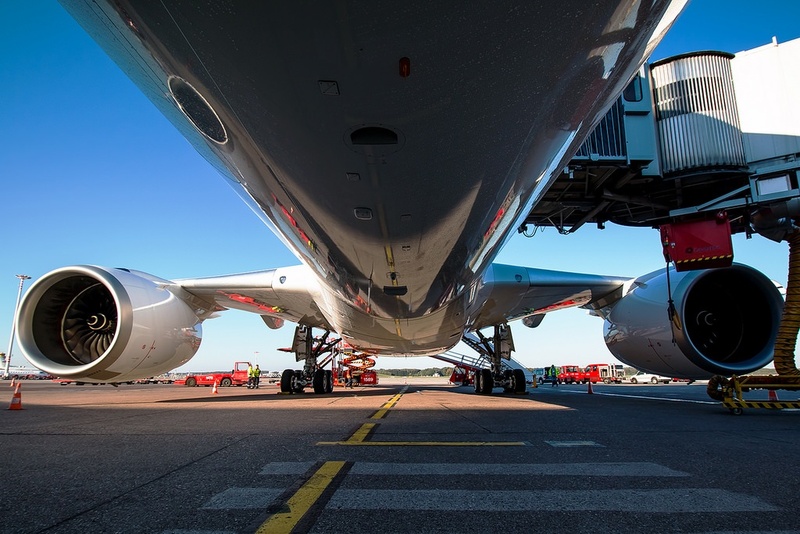 A large dedicated team inside Airbus is dealing with the A350 2 hours per day, and Didier Evrard has instructed the team to immediately escalate any serious and new issues to his management level to ensure things are properly addressed. Airbus detected 3 areas that have needed particular attention in the A350 operation. First, the system that has created the most logbook entries so far is the onboard network that hosts all MRO applications. 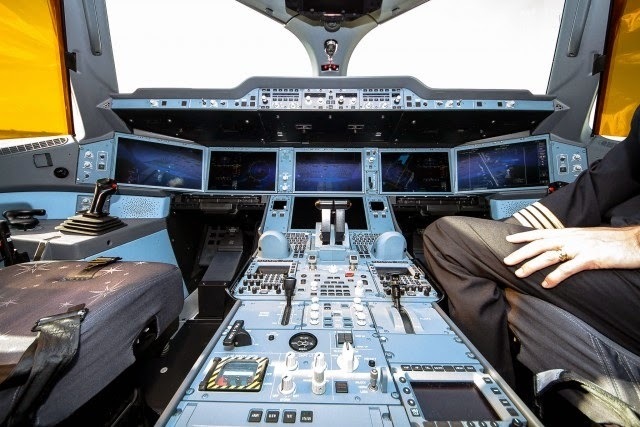 According to Marc Virilli (Senior Director - Customer Services at Airbus), some human-machine interface improvements as well as software updates were needed. 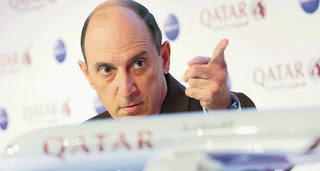 “We have issued an evolution of the system which has already been implemented on the Qatar and Vietnam Airlines fleets, and we are seeing a decrease in the number of reports,” he said. The rerelease has eliminated a number of software bugs that also affected communications between the aircraft and the ground. 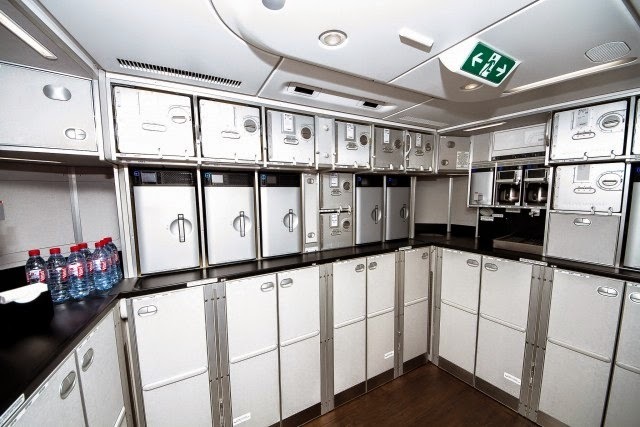 Second, Airbus was forced to issue a number of service bulletins and to remove some galley inserts, such as ovens or coffeemakers, because of leaks. 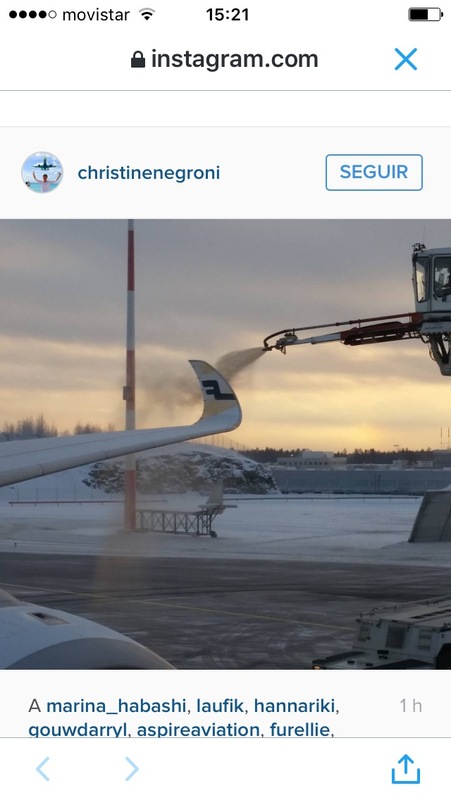 The leaks are related to a supplier that Airbus declines to identify. But Virilli said that after corrective action was taken, the number of reports has come down 50%. And third, the bleed system’s over heating detection has issued nuisance warnings that have caused some operational disruption. Airbus retrofitted a sensor connection using gold-plated connectors, and the issue has been eliminated. Marc Virilli said “a combination of several factors” was affecting Qatar’s operations; some have improved while others are still being addressed, but in general, the overall situation has stabilized. Meanwhile, Finnair has experienced “the expected amount of small technical issues that can typically be addressed by resetting the system.” Rather than a clear pattern, there have been “isolated things here and there”. 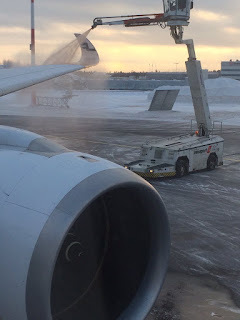 However, Finnair has noticed a slightly higher use of spare parts in the cabin. Based on the article “A350 Dispatch Reliability By Daniel Omale” pubished in Jimi Disu´s blog. And THE most important problem, Boeing has announced that Boeing will make its own seats for the new 737- kicking out Zodiac.A company called Lift. Thereby stopping airlines choosing their own seats and clogging up deliveries. This is a real warning to Zodiac who have consistently failed to deliver on time to both Airbus and Boeing. The writing is on the wall for Zodiac and not before time. Its now March 2016 and only 4 A350's have been delivered. Doing really well, this is "ramp up" year so things look really good! Yeah of course they are! For one moment there I thought that they has stopped deliveries. Not much going on,lots of PR announcements but not much else-so at this rate we can expect 16 delivered by years end. Bravo! Boeing has plans and the permits for production of 10 777x's per month after 2020. You can see they mean business,even when production first starts they are looking at 5 per month moving onto 8 and then 10 if enough orders are forth coming. With that sort of production (they are bigger than the A350) promise makes you wonder what Airbus is doing at the moment with the A350. 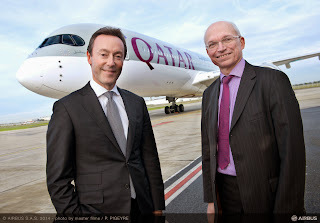 At this stage and time since the start, Airbus right now should be delivering 5/6 per month minimum.I think that there is something else that they have not told us yet, is this another A380 fiasco? Doesn't this blog ever get changed? công ty in bao bì châu long cung cấp dịch vụ in tờ rơi tờ gấp , dịch vụ in catalogue tại hà nội với giá rẻ nhất! topic is so good,I really like you post.Thanks for sharing. Informative and valuable post. I really like this post. Informative and very entertaining. Thanks a lot. superb post, we enjoyed each and everything as per written in your post. Why that cargo door on 1st A350-1000 prototype?